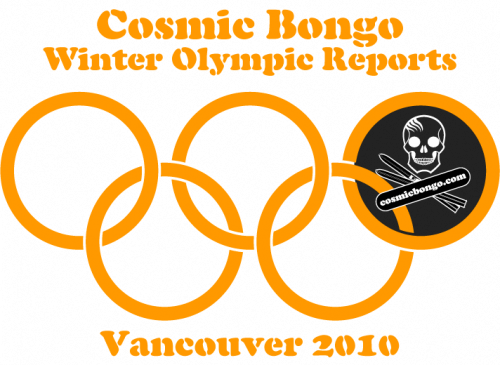 Snowboarding; a new dawn for Cosmic Bongo. The first thing I have to do is apologise for the huge gap between posts, but there is a good reason for this: Cosmic Bongo has moved to Italy; and only 50km from the Alps, so I am super pumped about this season, especially with the Alps just sat staring and calling me every time I see them from my bathroom window. I first want to talk about my last few weeks in London, just after the Winter Olympics, which I do have to say raised the bar this year with the newer snowboarding and skiing events out shining the traditional downhill events (some of you may disagree with me but I don’t care). So, it was soon after the Winter Olympics a couple of friends wanted to try snowboarding for the first time. So I called our friends at the Hemel Hempstead Snow Center to set up a taster day for my friends with the promise of taking some great photos of the day but alas, as always happens with snowboarding, we had too much fun and forgot to take any photos. I took only a really crappy one from my phone, from the bar and of the back of my mates head, so I have included a pic from the website. My friends had a blast that day and have been hooked ever since so now they regularly go up to The Snow centre. I do want to talk a bit about Hemel snow centre compared to the other indoor snow centres in the UK. Having ridden most of the centres in the UK, I found the condition of the snow in Hemel by far the best I have ridden so far, for example, in Milton Keynes the snow does tend to get very icy and compact and is a bone shatterer if you have to bail out. Tamworth, on the other hand, it is sometimes like a scuffing down a cold concrete slab with a turn at the top, and I hate taking a new board there, because I swear, I can see sparks from my edges as I turn. Last but not least, the Guinness in Hemel is great and a well deserved treat after a hard day falling on your arse especially if you are new to our beloved sport. We are half way through week one of the Vancouver 2010 Winter Olympics, and already there have been a few stand-out events and snowboarding performances in this year winter games. We should hopefully be getting some reports from Canada, from our man in the field Big Rob, however we have a sneaking suspicion he has almost certainly got himself lost in one of the many bars of Whistler, we will keep you posted on his progress. The first Event to set the standard was the Men’s and Women’s mogul finals; these finals truly showed the excitement and passion in this still very young and growing ski discipline; this event rivals the downhill for danger and drama, just watching the men’s final had me on the edge of my sofa and then exploding off it when Canadian Alexandre Bilodeau finished the run of his life time and showed the rest, including Canadian but now Australian multi-millionaire Dale Begg-Smith (who turns up to training in a Lamborghini), how a gold medal run should look. The Men’s Mogul finals also added an extra element to the Winter Olympics, which I feel the other events should adopt. This is the big white sofas for the Gold, Silver and Bronze medal positions at the end of the course. The reason this is genius is because, as the scores or times improve, previous 1 place competitors have to move down the sofa, and the looks on the poor sad faces of those moving down the sofas is enough to break your heart, but extremely funny too, specially when they have to leave the sofas all together and head to the back with all the rest of the losers. Sofa podiums are the future of world sport!!!! However, the true highlight of the winter games so far has been the men’s and women’s Snowboard X finals. The men’s Snowboards cross finals were the most high paced and electrifying I have seen for a long time, even the X games event lack the intensity only the Olympics bring to this event. The star of the two qualifying heats was Australian Alex Pullin, but unfortunately he fell in the first of knockout race heats; however Pullin is one to seriously watch in the future. This leads me on to Seth Wescott of the USA who showed his experience and form throughout the race heats and eventually took the Olympic Gold medal for the second time in SBX. The women’s Snowboard X story was all about the terrible weather during qualifying. Due to flat light and dense fog the female competitors had to, as Yoda would say, “use the force” to navigate blindly through the course and obstacles, as most of us who have ever tried to plot a course in these types of conditions know, so this really did highlight the skill and nerve all the SBX riders need just to qualify. The Canadian Maelle Ricker dominated the race heat to claim a home victory and the Gold medal. Great Britain hope for Gold Zoe Gillings, showed how good a British snowboarder can be without help or backing from the British Olympic association, so imagine how well the UK could do in future, if help and support were given more freely to our snowboarders and skiers, because we do have the talent to compete on the world stage and win medals and gold ones at that!!! So next up is the Half Pipe event tonight, I really do hope this does not just become a Shaun White exhibition event, but I will keep you posted on Twitter. We’ve all had days when we get back from the slopes, our legs hurt, we did not get to bed as early as we hoped, or for number of various reasons, are not up to attending the traditional apres scene. Here are some ideas for alternative activities, when in a ski resort. So here are a few ideas for you to try out. A personal favourite of mine is to head back on mass to the Chalet and play a knockout rules version of beer pong (remember to play beer pong with plastic cups) this will always end up ugly, because it is not big or clever, but it is always fun, specially if you try to continue playing it through dinner, which your chalet host has lovingly knocked up in 30mins he or she has been back from the apres ski bar . Some resorts are known for their gambling, places such as Tahoe in California, and Davos in Switzerland. If the resort you’re staying in does not have a casino, you can always try playing online poker. If you’re the type that always brings along a video camera to get a little edit together, why not get some off-slope footage together? Time lapses and scenic mountain views are best shot when the lifts have closed for the day. Why waste precious time on the mountain fiddling about and recording a 5 minute clip of some clouds moving across the sky? 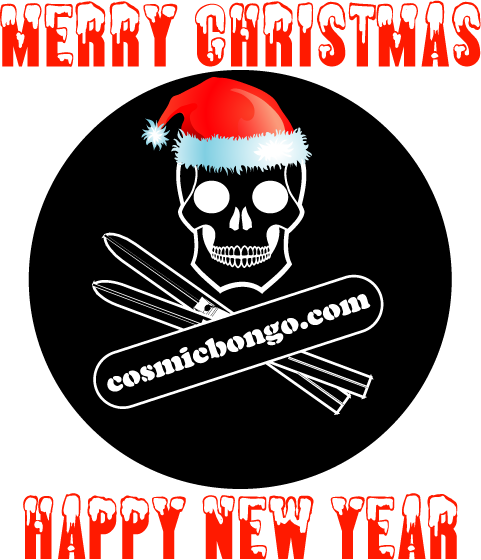 If all else fails, just take a spoon full of cement and toughen the f*#k up, you’re on holiday, and after the first couple of Jagermeister you will not feel the pain in your leg or at least not care any more and remember to play Cosmic Bongo Ski Bingo. I know this is a bit off the slope for this snowboarding and winter sports blog, but I feel I have to tell you about a great new band I discovered by complete accident two weeks ago in the Water Rats, club in London. Let me fill you in on the details of this fine discovery; if you are not familiar with the Water rats, club, is in Kings Cross in London and is a hot spot for seeing new band on the brink of stardom or a life of obscurity, out of the hundreds of bands that pass through the doors to play in front of the hallowed mock red velvet curtains, only a hand full become anything of note and a rarer few become house hold names, like Oasis, Kaiser chiefs or The darkness to name a few. It was a regular Wednesday night in London a couple of week ago, I was asked by a friend to go see a band she knew, she knows I am a sucker for live music and love to see a good band, so I agreed to check this band, and they were a very good band! 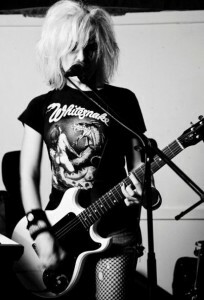 but unfortunately I have seen hundreds of good bands over the years, they have all started to meld into one, none standing out from the other. However the next band saved my night from becoming a painful night of ringing ears and feeling numb from a lack of originality. My saviours were a band called Molloy, the most truly original band I have seen in maybe 10 years, and I hate to admit it ,but I saw The Darkness when they made their own catsuits. Molloy call themselves “Hair metal on a Commodore!”, so you can guess they are on the left of field and exactly the way I like it, but it is their hook driven tunes that will have you singing along even if you have never seen this band before, also you will fall in love with Caz Hellbent; Hellbent is the most sensual and powerfully mesmerizing singer you will experience, I had to stop myself screaming like a 13 year Take That fan, and Hellbent was only doing the sound check. So I have decide to break from the normal snowboarding, skiing and winter-sports news and stories, and tell you to check this band out while you can, I will definitely be at the Club Fandango @ 229, Great Portland St gig. And show the industry they rock! 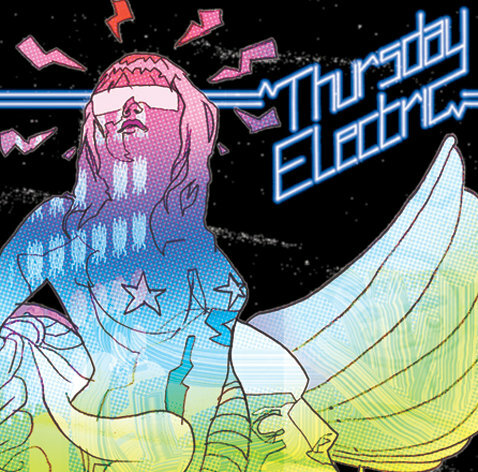 Both are gonna be early slots (8ish) so you can go straight from work, drink and even go to work the next day(bonus). Until next time keep rocking!!! Sorry for the long pause between posts, but that is one of the problems of running a snowboard and winter sports blog: I do tend to flee to snow filled mountains to satisfy my addiction and passion for snowboarding and anything winter-sports related. I want to talk about Winter Olympics 2010 in Vancouver and in particular, what is happening in snowboarding within the run up to this year’s Games. The first major news is the 2 serious injuries in snowboarding of Kevin Pearce and Danny Davis. Ok, Danny Davis was injured in a non-snowboard related ATV accident, but for purely selfish reasons to me, this is a major blow for the Olympic half pipe competition, because I really wanted to see Davis throw it down against Shaun White at this year’s games, Davis is one of only a few boarders that can stop the Olympics becoming the Shaun White show, as I fear they might now, but I do live in hope that one of the other riders will raise their game and make this event one of the show pieces for these games. 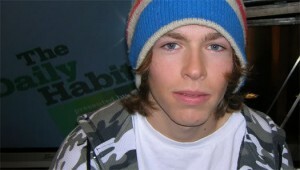 More serious is the accident and injury of young snowboarding hopeful Kevin Pearce. Pearce was critically injured during an half pipe training run in Park City, Utah, after striking his head on the edge of the pipe suffering a serious and traumatic brain injury, which led to a build-up of fluid in the brain. Pearce was then induced into a medical coma to prevent further damage to his brain. The shock of this type of accident on a pro rider and someone so young sparked a great debate, well, a one woman debate to be precise, in the form of Ice skating columnist Christine Brennan. Brennan, with her years of experience and knowledge in Ice dancing, decided she was the perfect person to reform snowboarding and particularly the half pipe event, to make it safer and therefore less watchable. Brennan has complained in the past that the Winter Olympics are becoming too extreme, just to keep television viewers happy. In her opinion the half pipe should only have a limited amount of safe to perform moves, and be judged like Ice skating/ dancing. Now, don’t get me wrong, I love Ice dancing just as much as the next man: which other winter sport do we tune in with glee to see provocatively dressed Russian women and statuesque men with mullets falling over on ice in time to music, or the Italian pair fighting in the rink because he unfortunately dropped her on her head again. These are all priceless moments in any sport, but to suggest stagnating the moves in snowboarding would kill off this event; maybe this is what Christine Brennan hopes will happen because her beloved sport no longer commands the attention or sponsors it used to. Because of these new young Olympic disciplines, there is a place for both sports in the Winter Olympics: the high excitement and drama of the snowboarding and freestyle skiing in the half pipe, and the comedy of grown men in sparkling spandex on the ice rink. Christine Brennan has upset the snowboarding community so much there is even a facebook group in her honour with over 7000 members. However my thoughts are with Kevin Pearce, I really hope we see him at the next Winter Olympics tearing up the half pipe and earning himself that illusive gold medal. Snowboarding, Christmas and the London Snow!!! It is Christmas and the snowboard and ski season is officially here, the snow is looking great and everyone at Cosmic Bongo is getting ready for our first trip to the mountains this season, and we quite frankly cannot wait. I, for instance, have been jumping up and down with joy at the mere thought of the shredding ahead, especially with the impressive amounts of fresh powder due to hit the Alps just before I land in Italy, for 3 weeks of “tom foolery”. However, before I head off to the mountains and the snow, I still have to cope with the crazy weather situation in London and the surrounding area; the rest of Europe has to deal with at least 150cm of snow every year and the airports, buses and Kebab shops still operate as usual, but in London it is a different ballgame all together; with just 5cm the City goes insane, with mass hysteria everywhere, with all transport grinding to an halt and the authorities declaring the area, a code 4 disaster zone. Not to mention the poor souls stuck in the Euro tunnel due to the wrong kind of snow… Also you cannot get to snowboard or ski at the snow domes or snow centres due to roads and trains lines being shut because of too much snow, who would believe it! Then there is the London Ski Season, yes! The London Ski Season, as you can imagine, is an event that only appears when any amount of snow settles in Central London, no matter how little, and because of it this season can sometimes last only few hours: it is the most intense season full of lunacy and visions not seen in any other ski resorts. Where else will you see a member of the Hampstead elite in their brand new Prada all-in-one ski outfit and never been used Salomon skis posing at the top of Primrose Hill, next to an 11 year old child sitting on a tea tray stolen from his mother’s kitchen or a group of drama students laying in a crumpled heap wrapped up in torn bin liners in the middle of the makeshift piste. The London Ski Season even has its very own snow park to rival no other, where jib masters can show off their impressive skills on a shabby hand built 5” kicker with a bald patch of mud in front of it for a landing pad. This is where even the bravest snowboarders and freestyle skiers can get 3” of airtime, while trying to trick it out to the max. I do have to admit, I am not immune to the lure of the London Ski Season, as I am guilty of leaving my house in the wee dark hours of the morning (7:30am), before the grey London sun rises, to grab the first white-lines in the 5cm of fresh powder/ icy slush on Primrose Hill and love every minute of it. The London Ski Season is not short on the Celebrity front either; yes, you may get the Royal Princes and the Beckhams in Klosters and the A-list Hollywood stars in Aspen and Whistler, but the London Season has Les Dennis with his dog and Lilly Allen on a stolen street sign. So enjoy wherever you are going this season, be it St Anton or St John’s Wood! I will try and update Cosmic Bongo while I am away, but I am not sure what the internet connections are like where I am going. 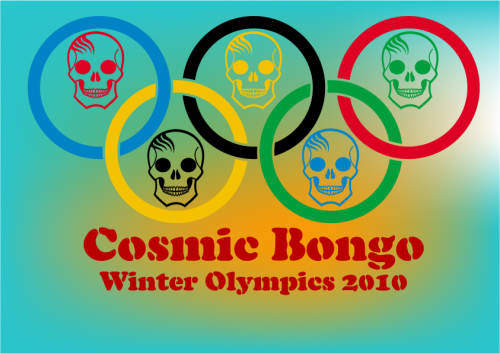 But I will be updating my Twitter from my phone, so follow me to keep up to date on everything Cosmic Bongo. You can now follow my Twitters in the right hand sidebar. Until next time……enjoy the snow!!! The latest video snow report on the snow conditions for Europe, USA and Canada. Just blame the snow in the UK on Craig, every time his car goes into the Garage it snows; so if you want more snow keep running into the back of his motor!!! The second weekly snow report for all you snowboarding and skiing addicts, from Cosmic bongo 8th December edition. Following a very mild autumn in Britain and the near continent much colder conditions will develop across most of Europe by the weekend. Next week should see significant snowfalls for the Alps and the Pyrenees as well as snow falling to lower elevations across large parts of mainland Europe. Update 04:00 Thu Dec 10th. Snow likely to affect parts of Britain later in the week. The following snowboards from Rome and True Snowboards are my favourite boards to ride. These snowboards are in no particular order because I really like to ride them both and I keep changing my mind to which one I like best. If you disagree with me or have a top 3, let me know in the comment section below; I would love to hear from you. If you have been following this blog, you will know I have been riding Rome Snowboards for many years now, well, since the Rome’s first snowboards to be precise; I was hooked on the Rome Agent the first time I ever strapped my boot into one, in Tignes many years ago. I really enjoy riding this board because it’s perfect in any situation the mountains can throw at you: jibbing in the snow park, blasting down a freshly groomed piste on the first run of the morning and hearing the corduroy textured slope rattling under your feet, or by a sheer stroke of luck, stumbling across a fresh patch of undiscovered powder that’s just begging you to make fresh tracks in it. The Rome Agent takes all of these conditions in its stride and never ceases to deliver. As I have always said, “why take 3 boards onto the mountain? Take one, just “board and Go”. True Snowboards are a must-have for any UK snowboarder because True Snowboards are truly a British snowboard company and the only snowboards designed and made in the UK. 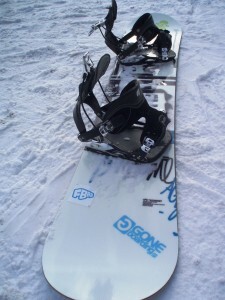 What’s more, they are fantastic boards to ride (I recommend in particular the True Expression Snowboard). I have ridden the Expression a few times now and love riding it just as much as my Rome Agent. To be honest, I will be buying an Expression when my Agent dies or maybe before that, who knows, if I am lucky. The look, feel and responsiveness of the True Expression board is amazing but it gets even better: for a poultry £75.00, True will also make you your very own custom designed top sheet, so you can hit the mountain with a truly original snowboard (look out for the limited edition Cosmic Bongo board soon). Other companies do offer this service but normally on a really below average snowboard and it costs a small fortune to boot! True snowboards are not available in any snowboard shops; you have to order one on-line from True Snowboards directly here. So get out there and get a True snowboard, and represent the UK. Go on I dare you to be different. Last, but not least, check out the new website over at Bargain Boards, very nice guys, very nice! Until next time …… get ready, the snow is coming! © Cosmic Bongo. Powered by WordPress and Pyrmont V2.